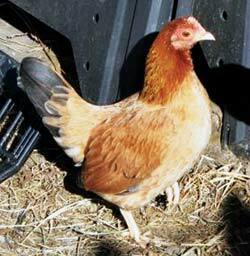 The Old English Game is one of the most popular show chickens with fanciers, which is fortunate because they aren’t spectacular in either of the other two aspects of being chickens i.e. eggs and dinner. While hearty birds, they don’t provide a lot of meat, and they aren’t very good layers at all. For Old English Games, it’s all about showing them off. Just be prepared to face disappointment in competitions as their popularity means you’re going to be going up against hundreds of contenders each and every time. 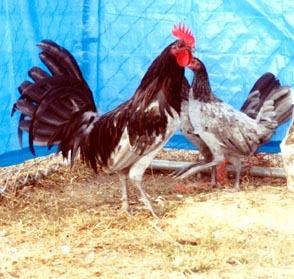 Despite being a bantam and therefore small, Old English Games are strong, muscular birds with thick bodies with a smaller breastbone than most breeds. Their bodies adhere to a triangular shape with a sloping back line and a medium tail held at a semi-high carriage. They hold their wings tightly to their body with well-rounded shoulders. 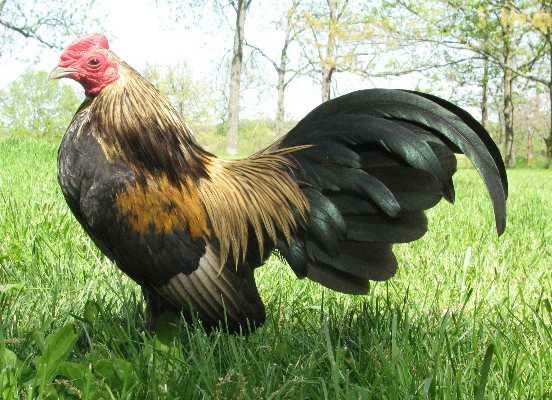 They have a single average-sized red comb, red ear-lobes, and red eyes. They have numerous colors schemes to pick from, none of which are considered better or worse than others in the fanciers circuits. Old English Games need very little to be happy. They get along with everyone and don’t have any inherent problems to consider. 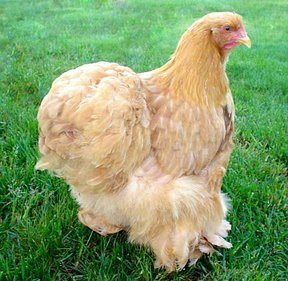 However, while the hens are rather broody with their chicks and make great mothers, it is best to remove them from the rest of the flock until the mother is no longer broody and the chicks have begun to mature. Doing so will alleviate any problems that could arise otherwise. 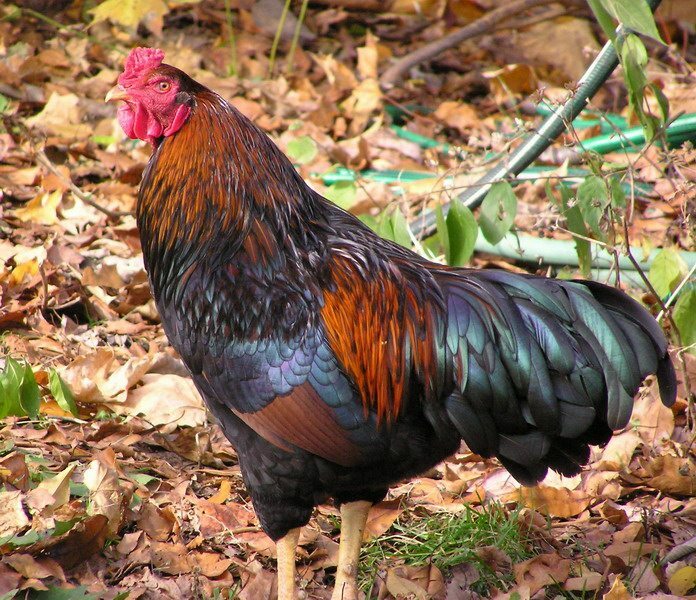 The exact particulars of the Old English Game are unknown, though one could make a pretty simple claim that they were developed from the larger English Game Fowl, even if the notion can’t be proven. 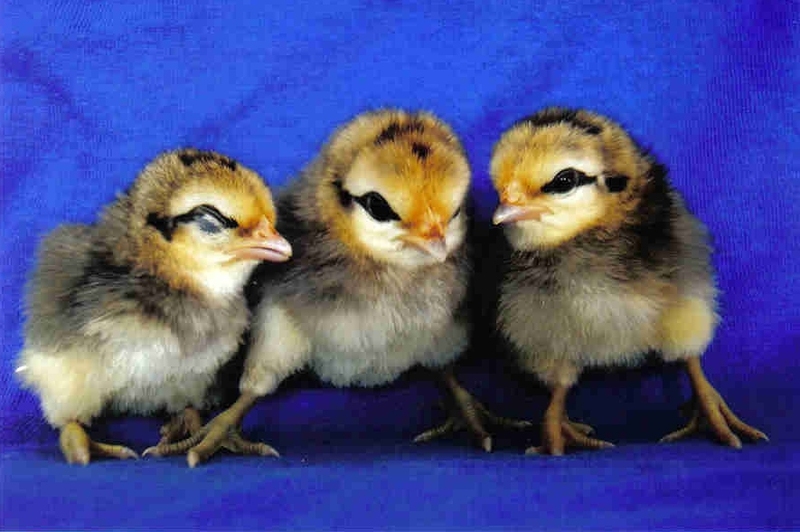 Oddly enough, they’re nicknamed ‘fighting bantam,’ though this name is not actually attributed to physical violence of any sort but rather their exhibition abilities as they typically do so well in shows and are extremely popular with chicken fanciers. They were accepted into the APA in 1925.